It’s a funny thing really. We could do this blog and playlist at any time, any Tuesday, between now and September, and this week’s featured song from 1998 would be able to qualify for appearance on any of them. How so, I hear you ask? Well, we touched on this when we met Run DMC‘s mega selling hit from 1998 a few weeks ago, but 20 years ago in the UK charts, it was full of some huge long running and selling singles – Celine Dion and that song about the sinking boat, Savage Garden‘s ‘Truly Madly Deeply’, Aerosmith‘s ‘I Don’t Want To Miss A Thing’. But you’ll notice that a great deal of those hits from 20 years ago I just listed were big, soaring power ballads. And yet there was one song released this year which soared just as high as any of those I’ve listed above, spending over six months on the UK singles chart – and all without ever even making the top 5, let alone number one. Penned from the hand of the legendary songwriter Diane Warren (Toni Braxton‘s ‘Unbreak My Heart’, that Aerosmith song we mentioned above), ‘How Do I Live’ was originally recorded by country singer Trisha Yearwood for the soundtrack of Nicholas Cage starring action blockbuster Con Air. 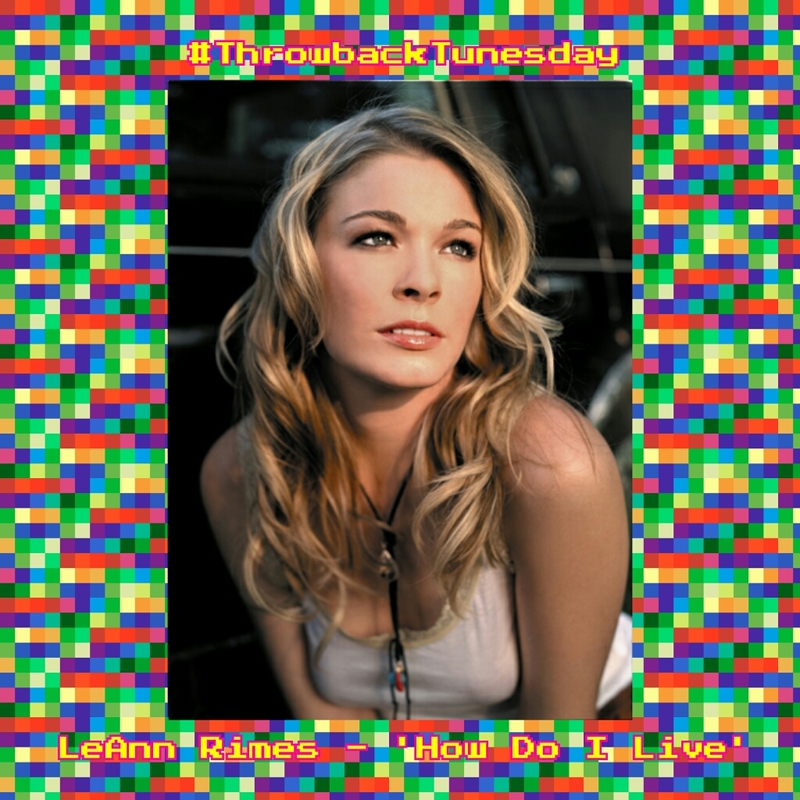 Much more rooted in a country style, it was handed over to the then 14 year old LeAnn Rimes to turn into a slightly more contemporary pop ballad. It was finally granted a UK release in March 1998, but would take until its fourth week to reach its peak position of #7. Then something completely unheard of happened. Owing to its phenomenal success on the radio – particularly at BBC Radio 2 who played it ad infinitum that year, the single kept on selling, to the extent that by the time August hit, it was still knocking around the lower end of the top 40. By years’ end, and with over 700,000 sales to its name, it was the biggest selling single of the year to not reach number one. It did leave LeAnn Rimes’ UK record company with a grave short term problem, mind. Subsequent follow ups – including ‘Written In The Stars’, a duet with Sir Elton John – stalled outside the top 30. Thankfully, her mega hit duck was broken three years later in 2000, when Diane Warren gave LeAnn not only another huge hit to her name, but also her first (and as of 2018) only UK number one with ‘Can’t Fight The Moonlight’, from the soundtrack to Coyote Ugly. But for now, here’s to ‘How Do I Live’ – the little single that didn’t make the top, but was the little single that, in 1998’s year of mega-hits, could.